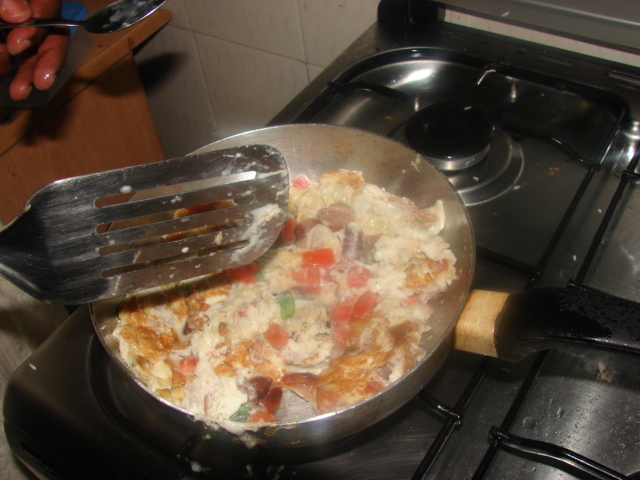 Scrambled Omelette? - Leo Tunapika? We love having eggs for breakfast, generally because not only are they yummy but you can almost have anything with them. 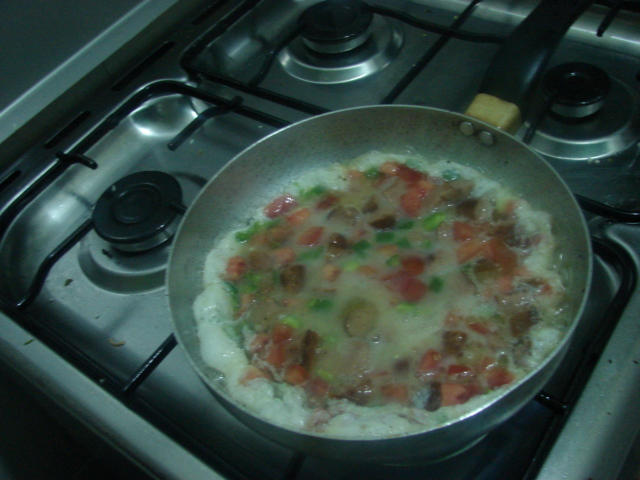 Last Saturday, I woke up feeling pretty dandy and thought of making a heavy omelette with sausages and all. 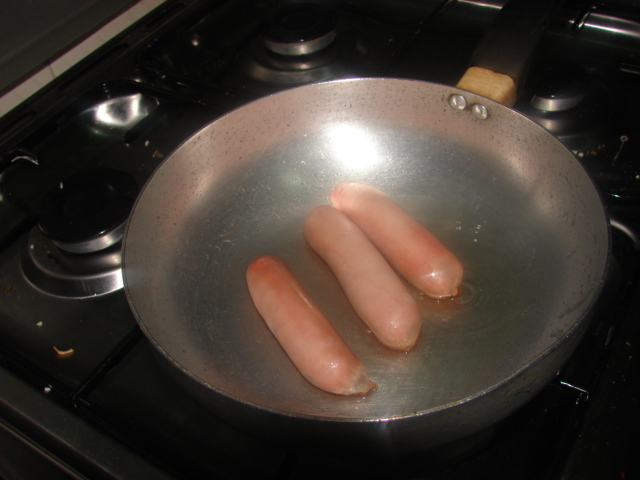 At this point the sausages were already fried, so removed them from the pan and placed them on a plate lined with paper towel to soak in any excess oil and then diced them. I used the same pan as the one I had fried the sausages in, though I reduced the oil. At this point, hubby was of the opinion that the eggs were few and that’s how I added an extra egg and into the pan the mixture went. 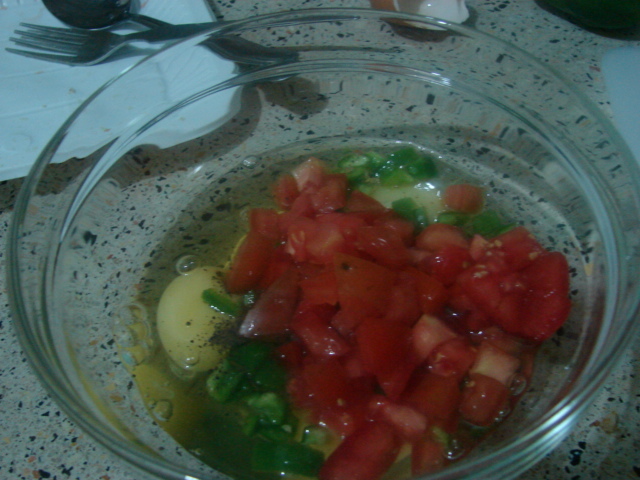 Since the omelette is loaded with yummy stuff, I gave it some time in order for it to cook evenly, let’s say 5 minutes give or take 2. 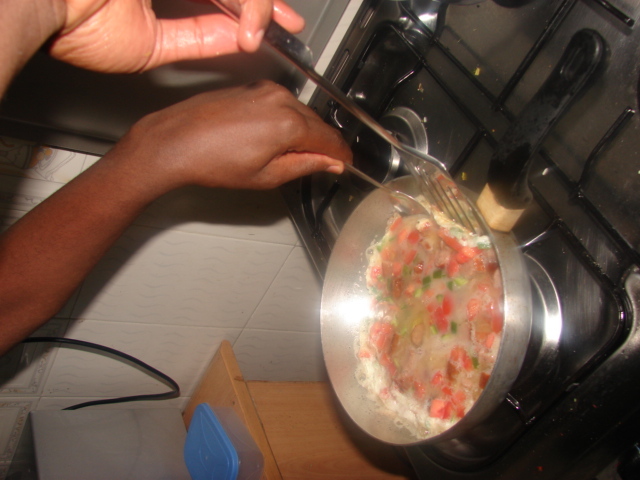 I’m no maestro when in it comes to turning anything be it eggs, pancakes you name it well except chapati, so I got hubby dearest ‘egg turner’ extraordinaire to do the dirty work. 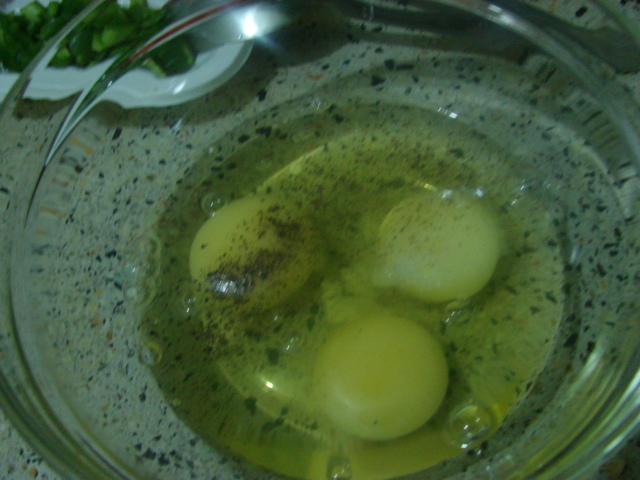 I think the 5 minutes give or take wasn’t enough since some parts of the omelette were runny and we don’t like runny eggs part of the reason it will take a while before I try and egg’s benedict recipe. Finally the preparation was done and we were ready to dive. 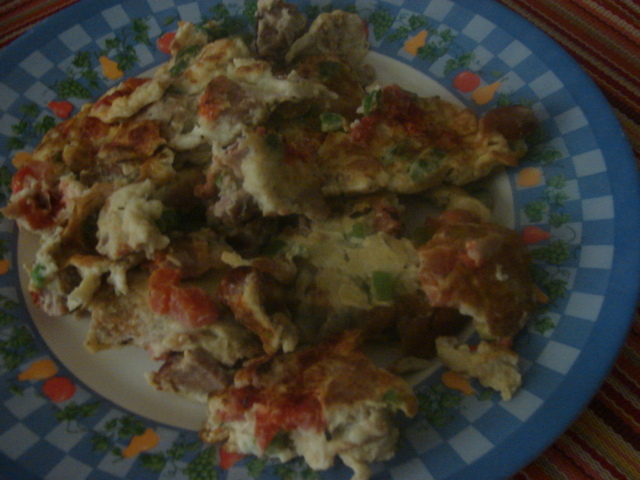 Pretty tasty omellete, the sausages add a very delicious twist to it. 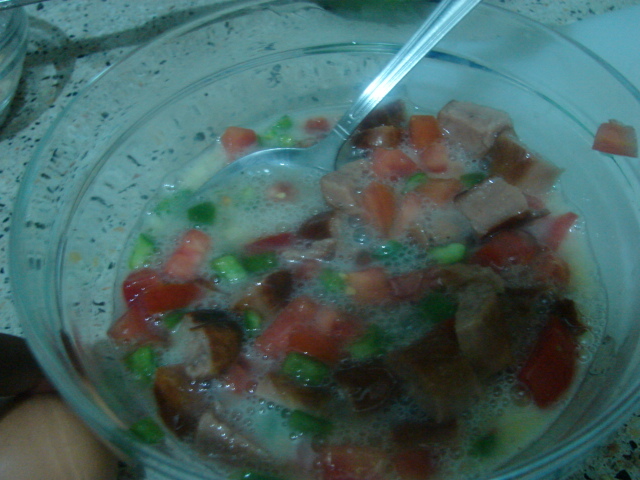 In case you don’t have sausages you can try putting some chopped up brawn (very tasty) or even bacon. nice! I know it was yummy! I wish my husband had “turning skills” for me to employ! LOL! Will definitely try this one….i hope my turning favors me!!!! I hope it favours you. I hope he does help you in the turning.